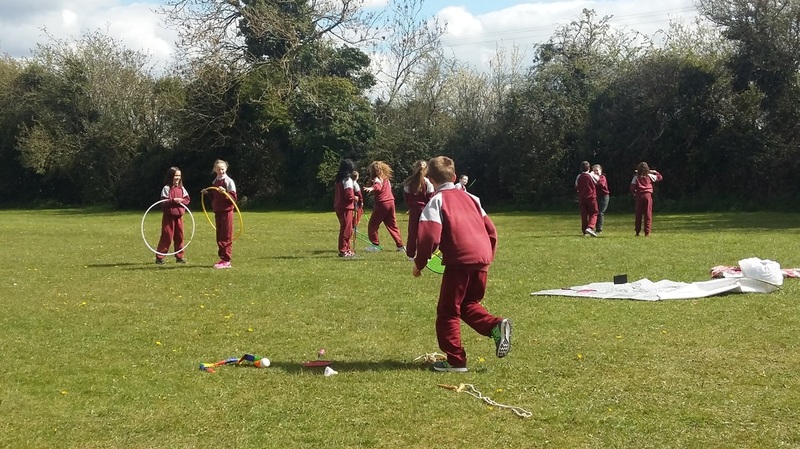 Active Schools Week took place from April 25th - 29th. 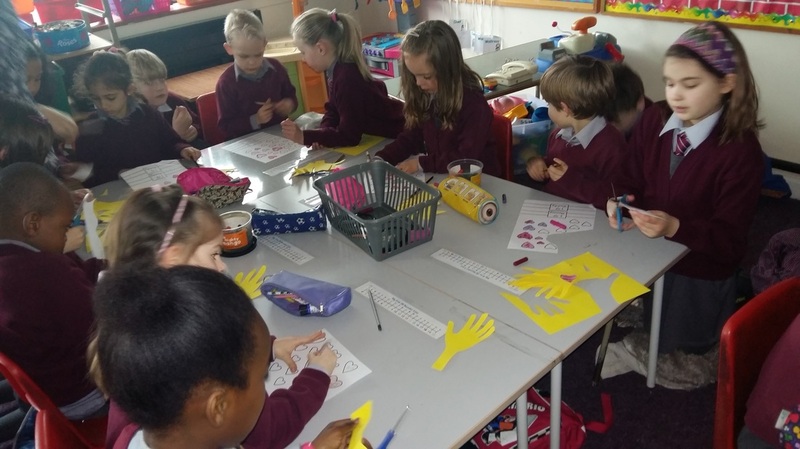 We had a great week of activity. 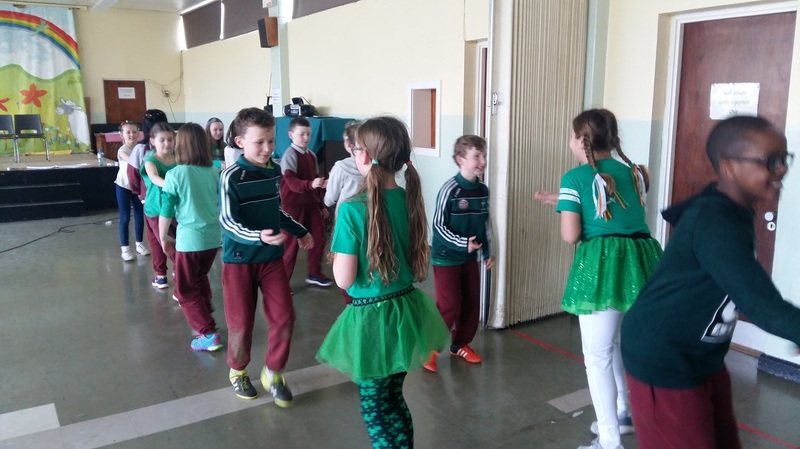 Each morning, the whole school took part in Wake Up Shake Up in the school yard. 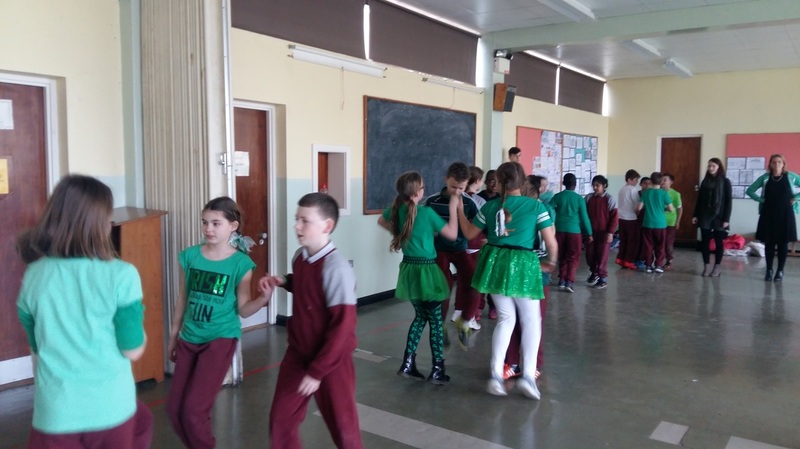 Twice a day we took part in Drop Everything and Dance (D.E.A.D). 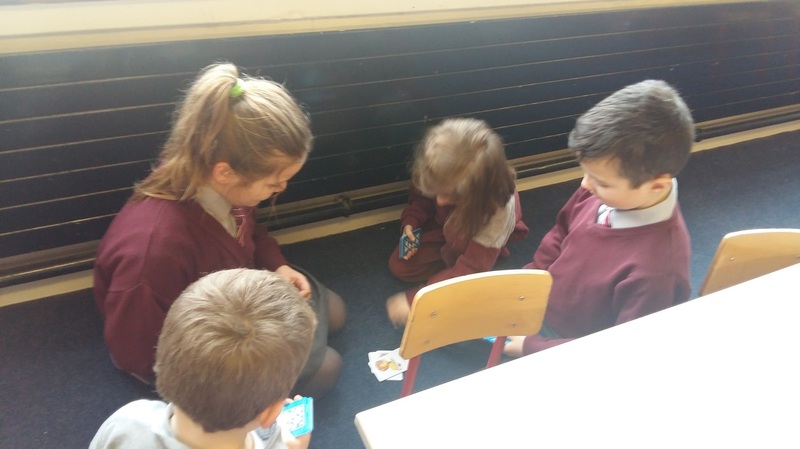 We got out for extra P.E during the week and played basketball and rounders. 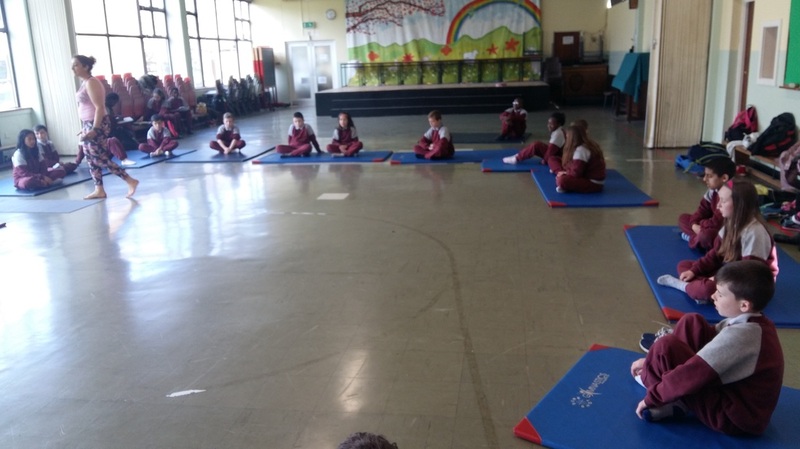 On Friday, Mrs. Hamad came to do yoga with us in the hall. It was based on the theme of Harry Potter and we really enjoyed it! 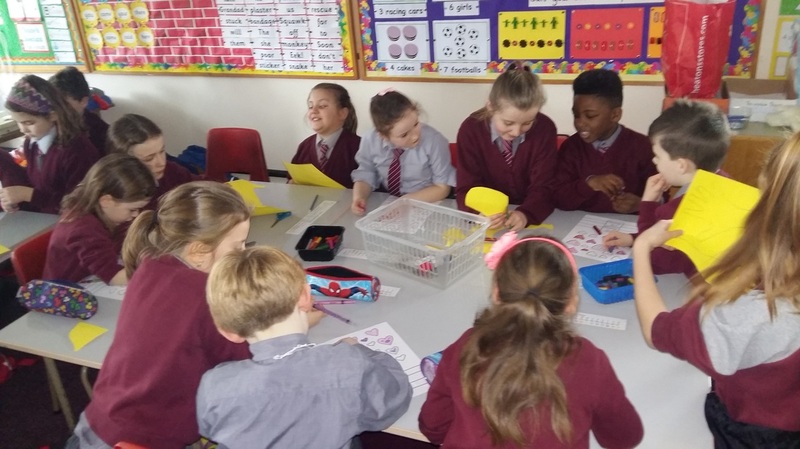 Over the past 10 weeks, we have been taking part in the Friends for Life Programme with Ms. Keating and Ms. Roche. 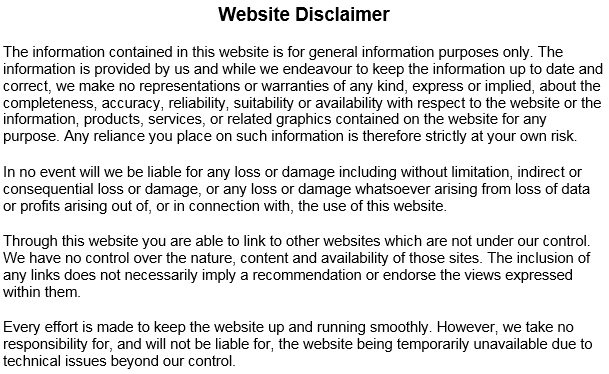 We learned lots from the programme. We learned how to cope if we have a problem and we learned some techniques for managing stress like deep breathing and pizza massages! 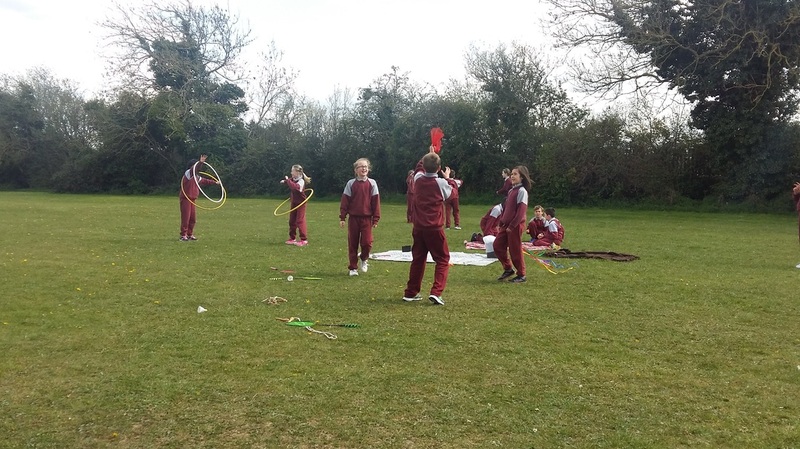 At the end of the 10 weeks we received a certificate and we got to have an outdoor party as a reward for all of our hard work! 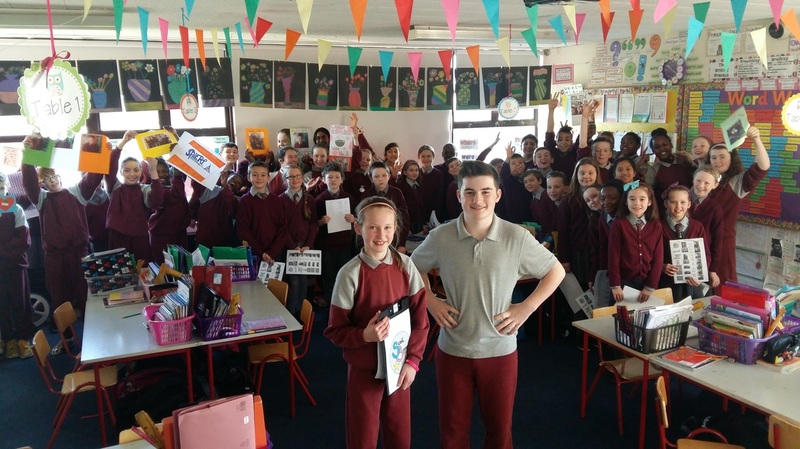 Proclamation Day was celebrated across the country on the 15th March 2016. 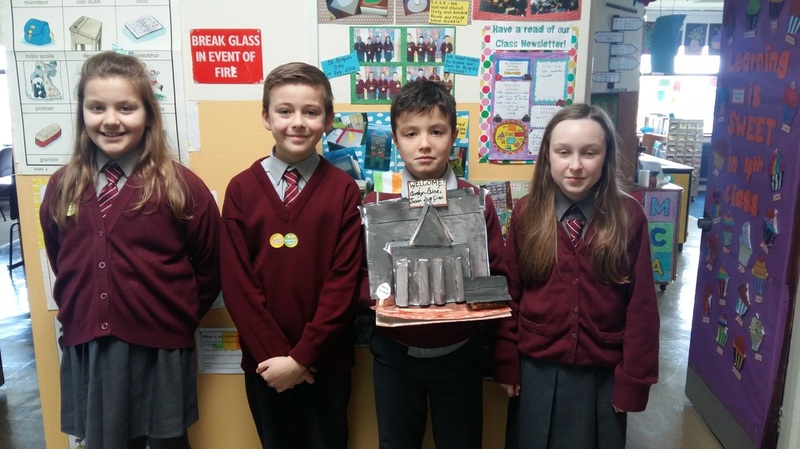 It marked the 100 year anniversary of the events of The Easter Rising 1916. 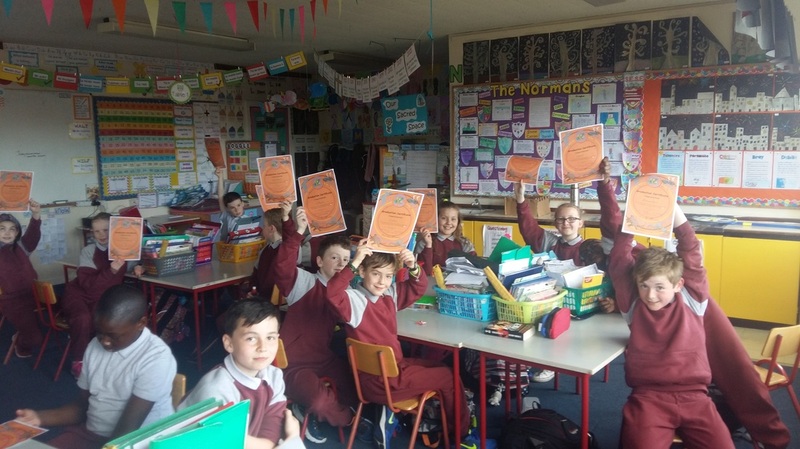 In preparation for this special day, we learned lots about 1916 in our class. We drew pictures of the buildings that were used during the Rising - The GPO, Dublin Castle, Kilmainham Gaol and The Four Courts. 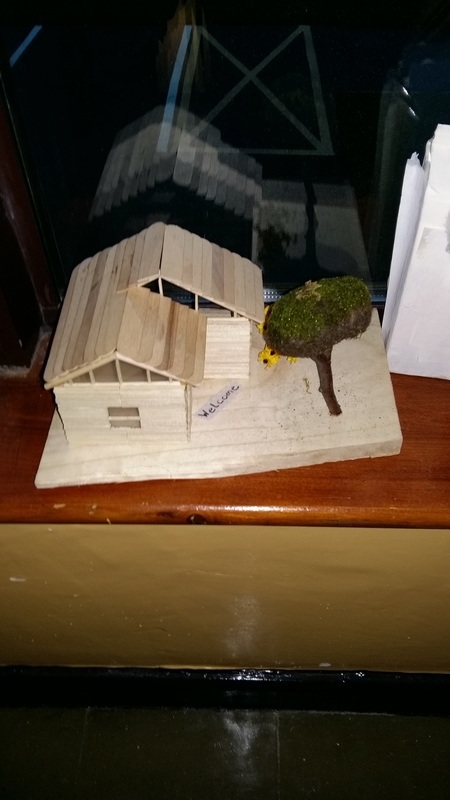 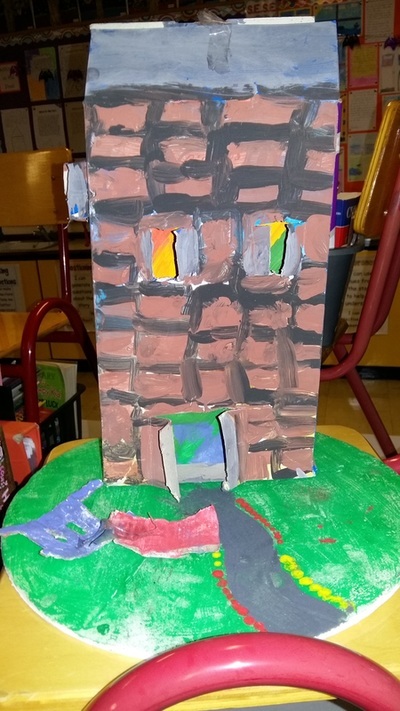 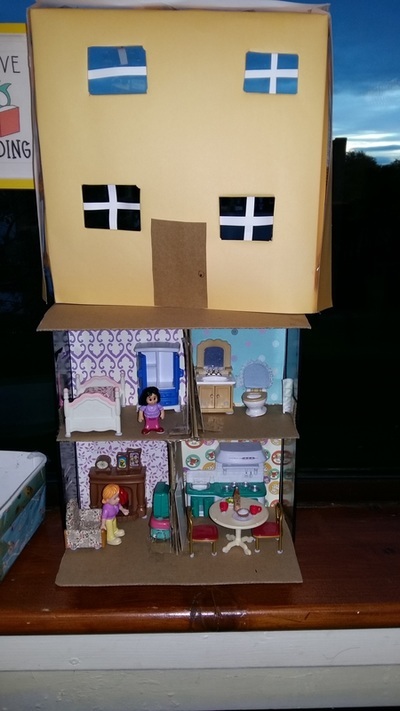 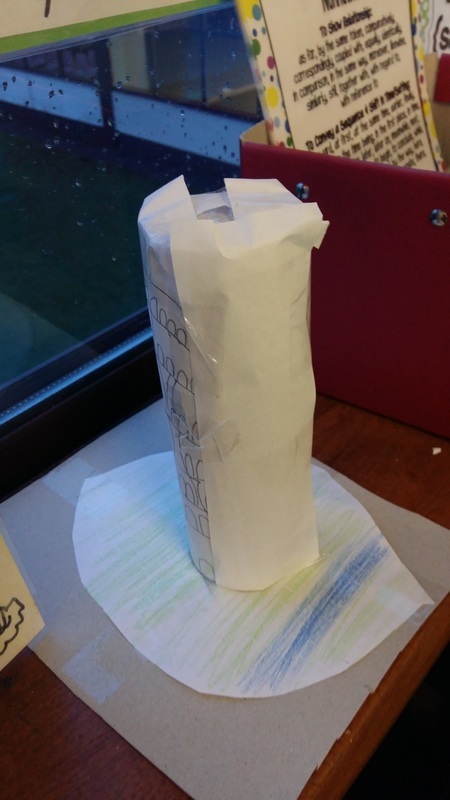 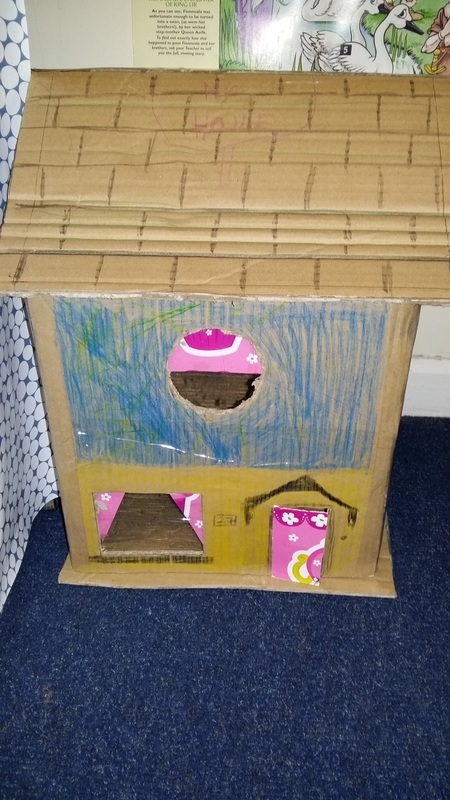 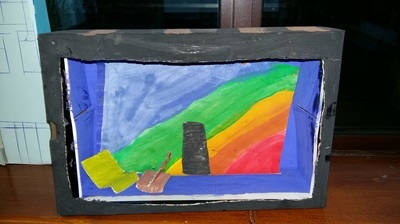 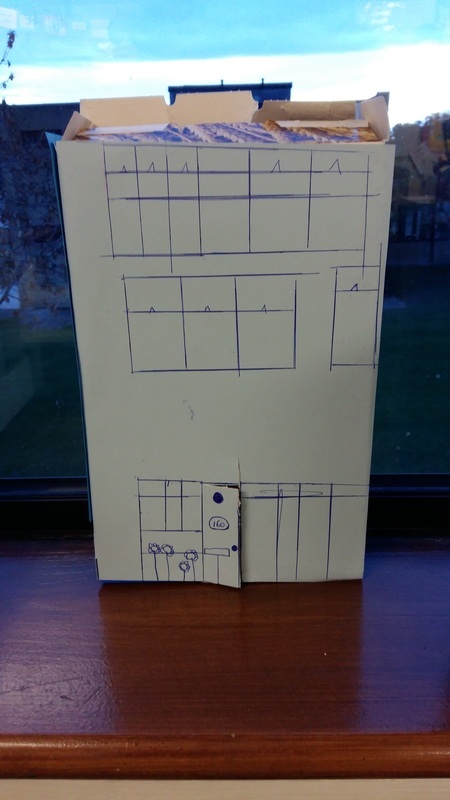 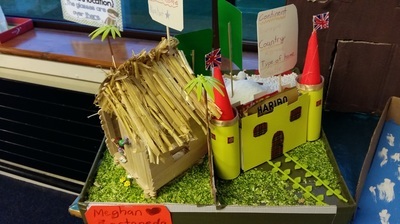 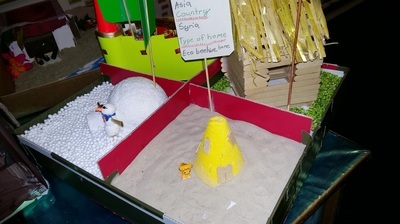 We did a construction project in Art during which we made models of the GPO. 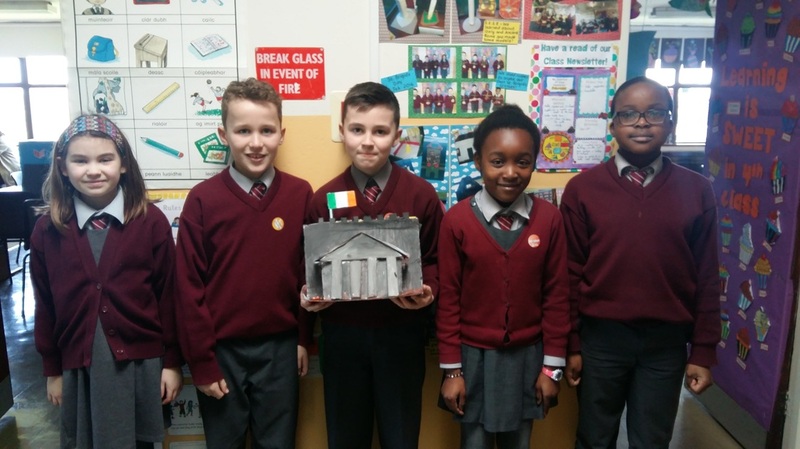 We took part in the INTO Handwriting Competition and the School's Annual Art Competition, both of which had the theme '1916 Easter Rising'. 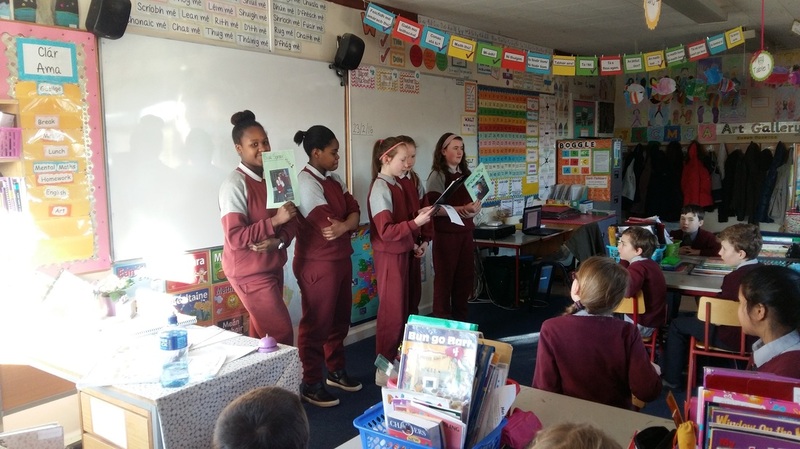 We learned how to sing Amhrán na bhFiann and Óro Sé do Bheatha 'Bhaile. 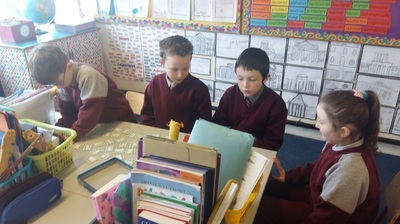 We also learned Óro Sé Do Bheatha 'Bhaile and The Dawning of the Day on recorder. 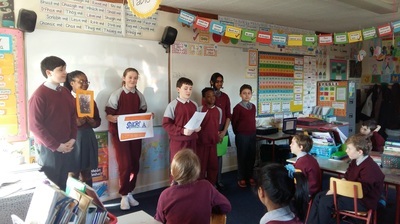 We celebrated the historic day by having a ceremony in our school. 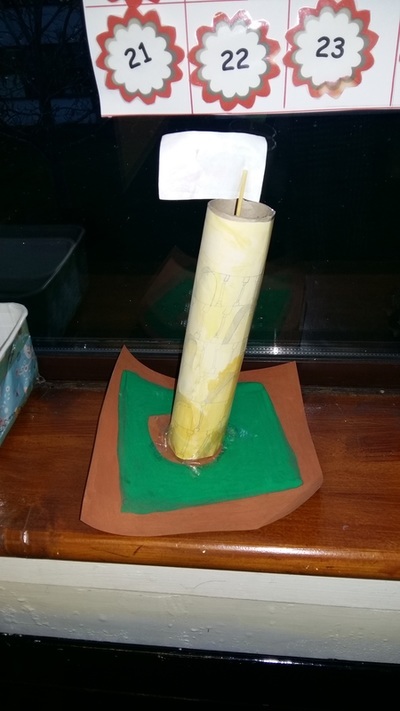 We raised the tri-colour flag previously delivered by the Defence Forces. 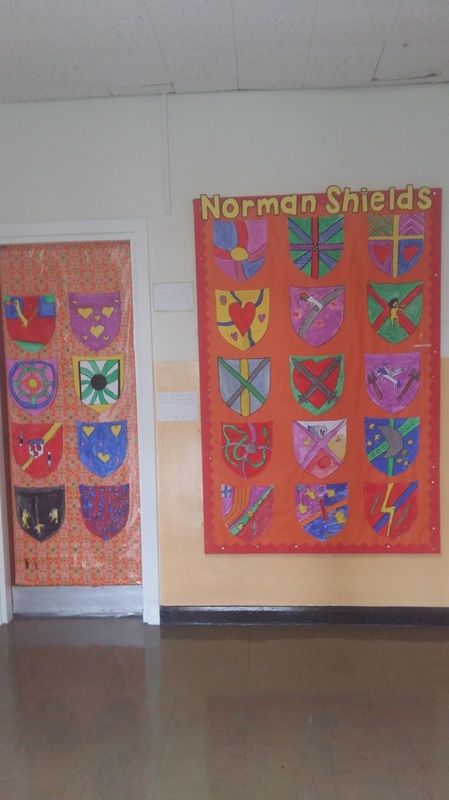 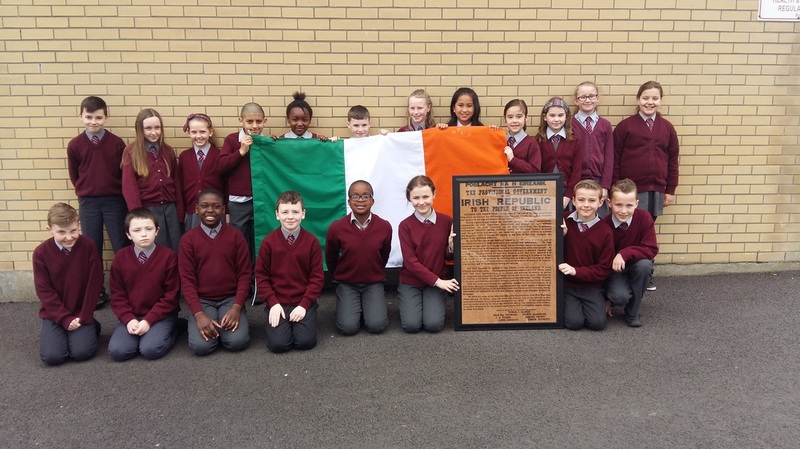 We sang and played the songs we had prepared and we read both the old proclamation and our new one, which had been created by all the children in our school. 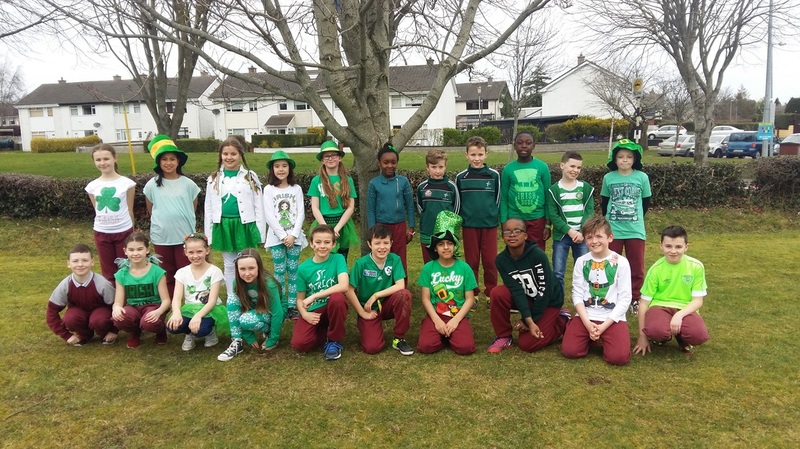 It was a very special, historic day that we will always remember. Bhí Lá Glas & céilí againn le haghaidh Seachtain na Gaeilge. 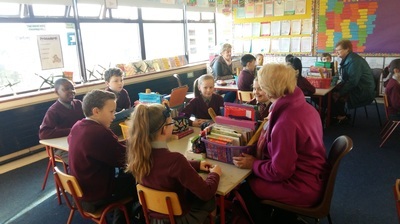 Tháinig Ms. O'Sullivan ar ais don chéilí a dhéanamh. 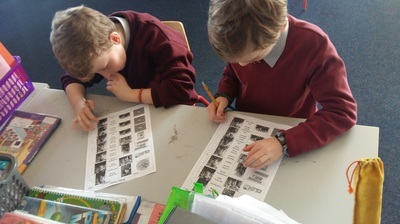 Bhaineamar an-taitneamh as an gcéilí! 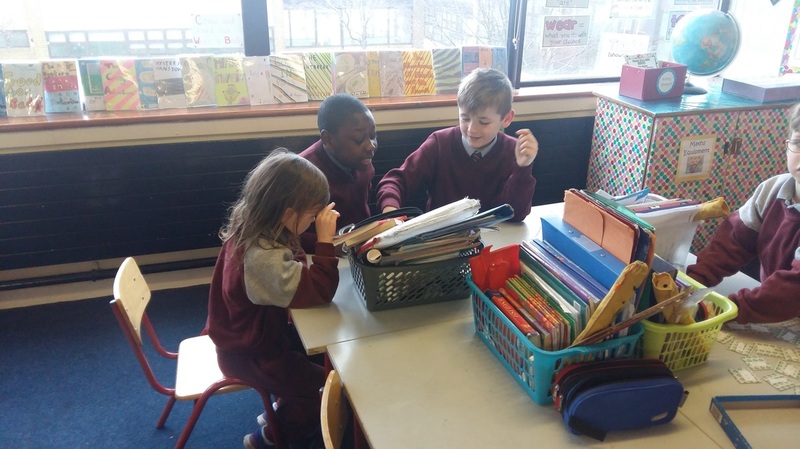 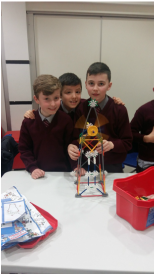 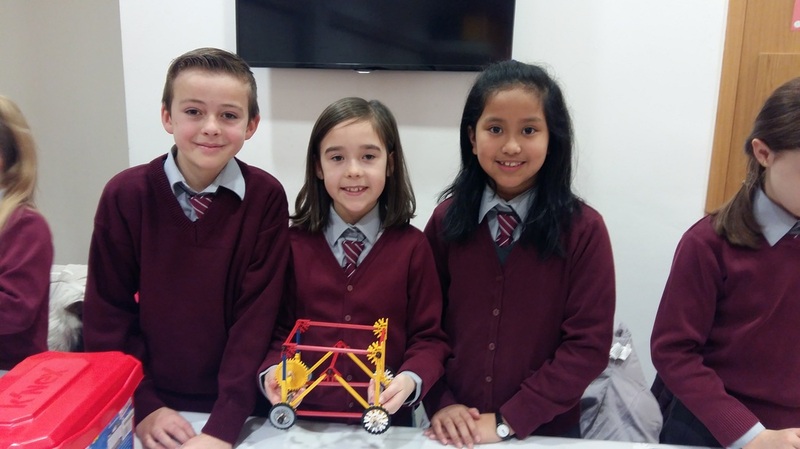 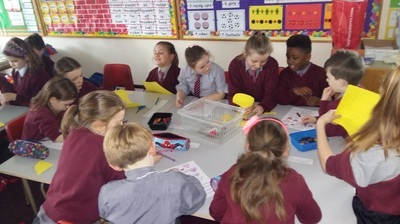 As part of Engineers Week 2016, 4th Class went to the library to take part in a KNEX Challenge. 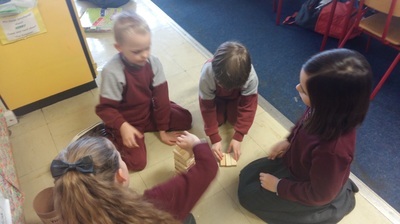 We learned all about the work of Engineers and then we set about making our own constructions. 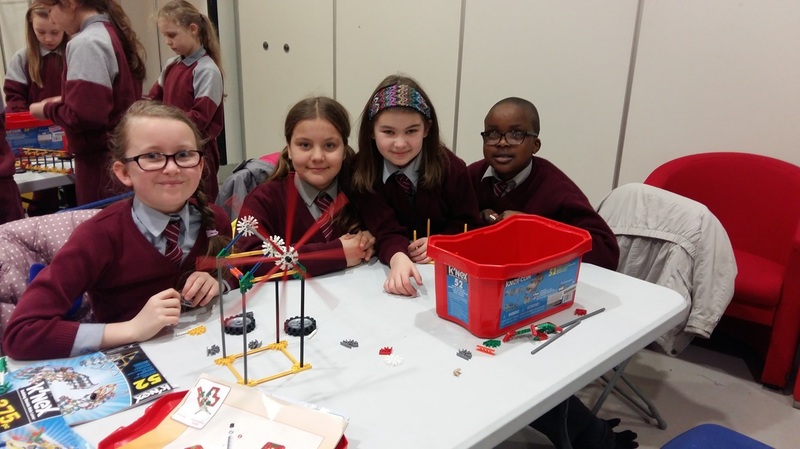 We made bridges, towers and wind turbines. It was great fun and we learned a lot! 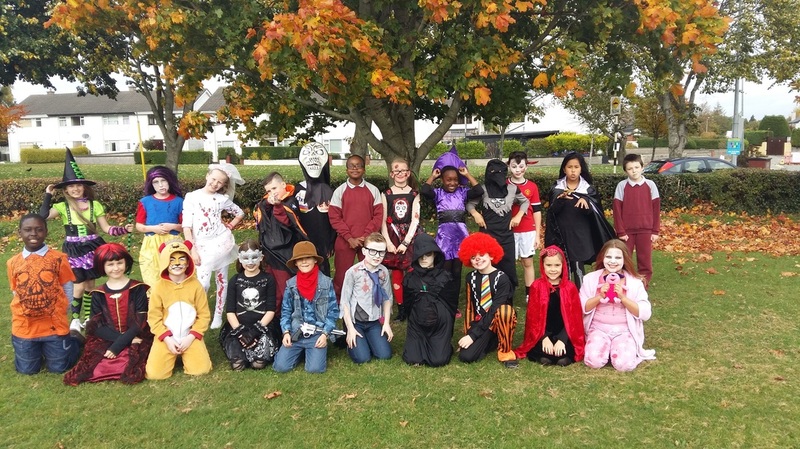 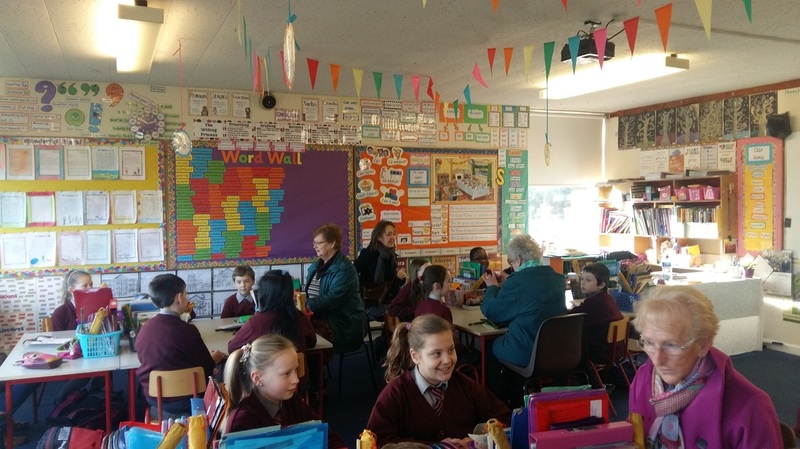 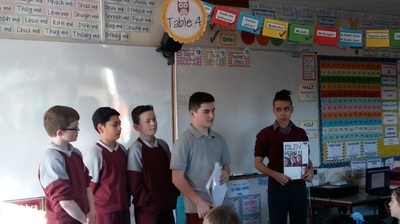 In the run up to Election 2016, 6th Class came to visit our class. 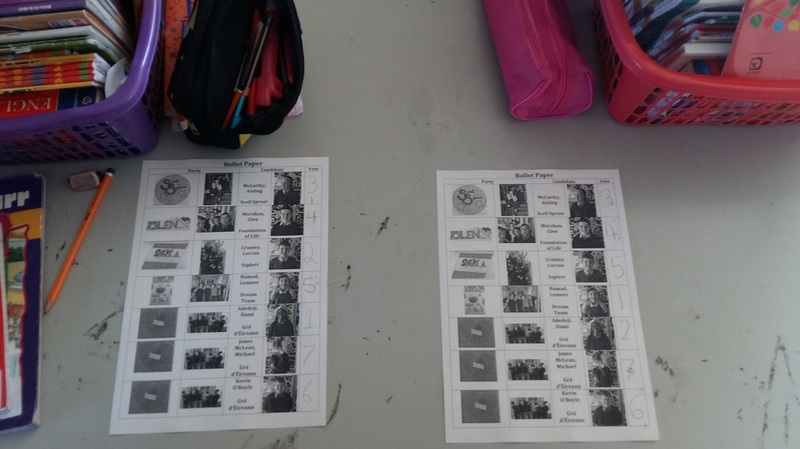 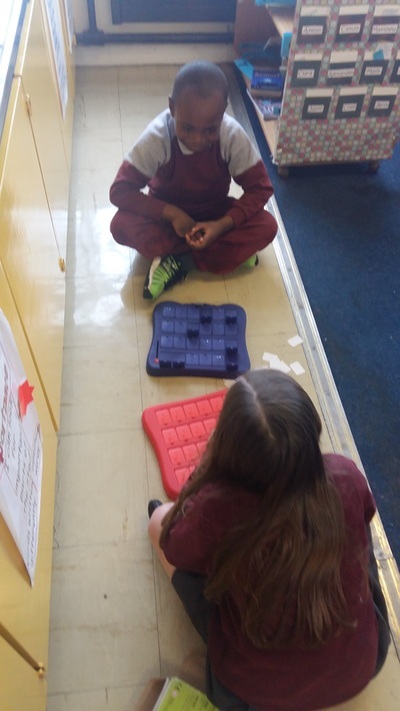 Each party campaigned in the classroom and they left us with a tough decision when it came to voting. It was a great experience and gave us an insight into the process of elections and voting. 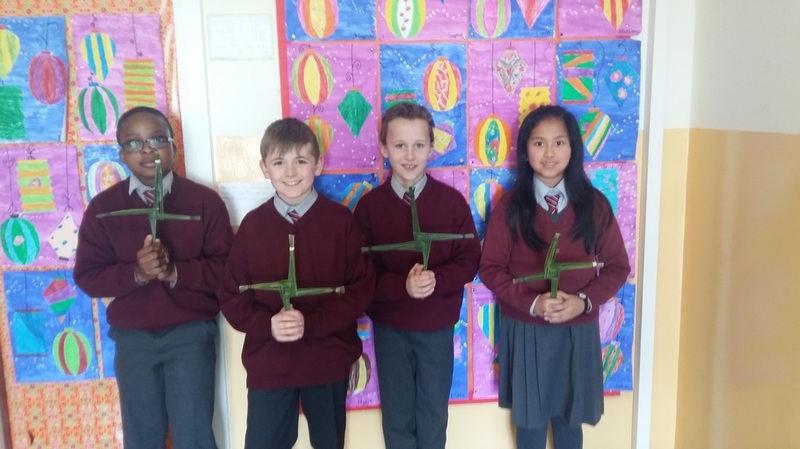 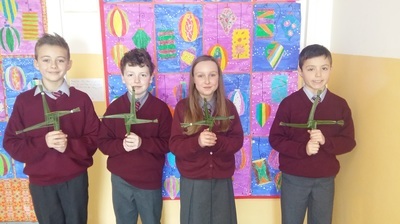 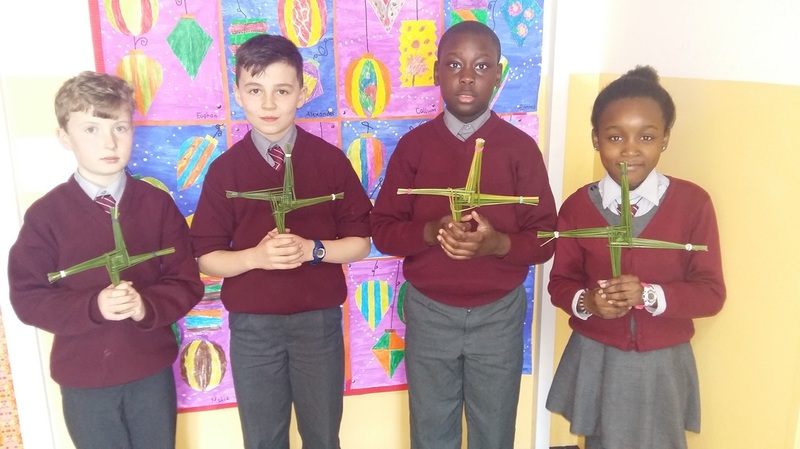 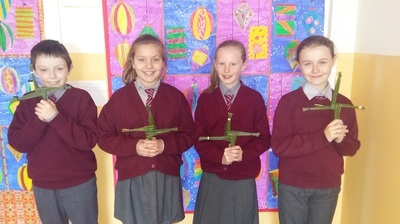 ​To celebrate St. Brigids Day, we made crosses out of rushes. 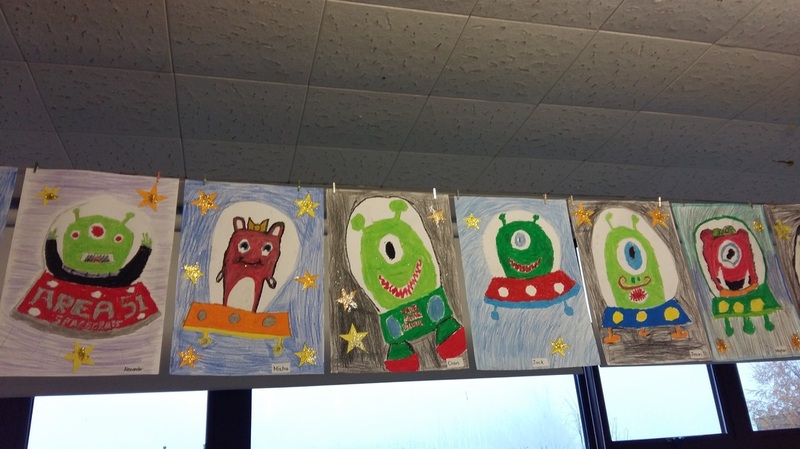 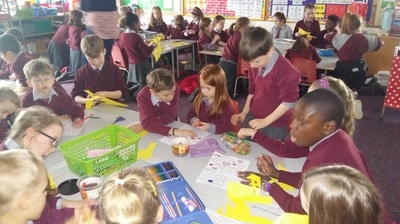 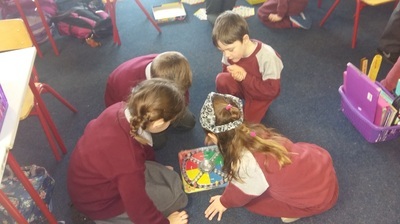 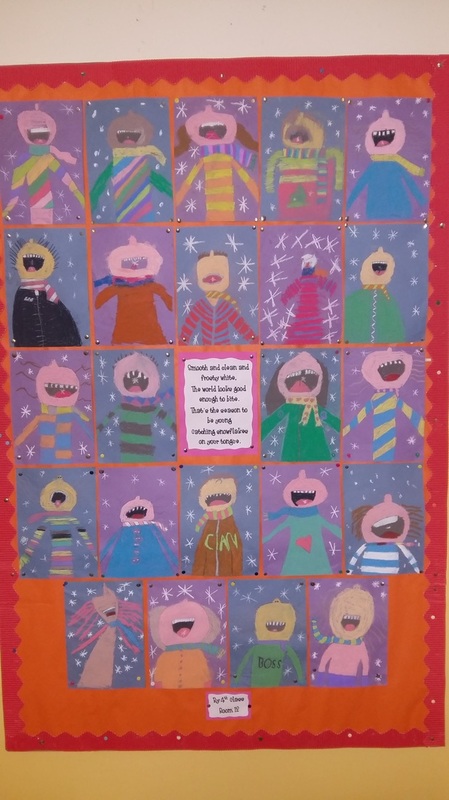 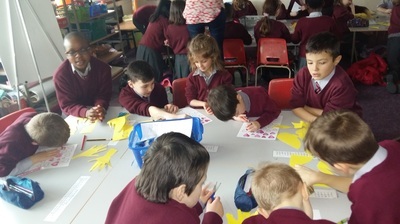 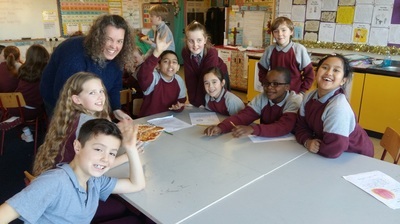 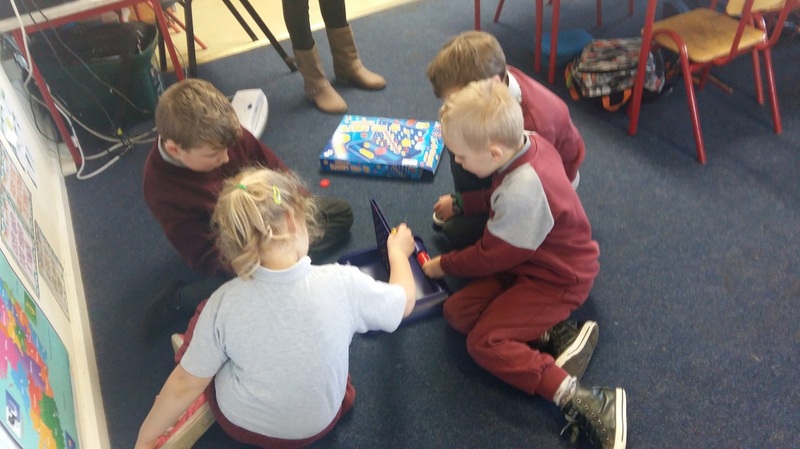 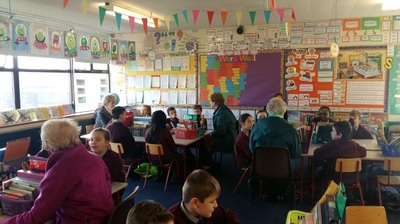 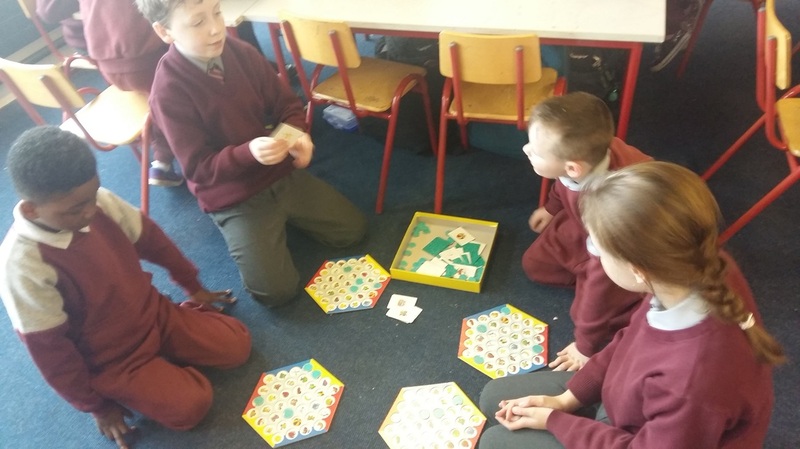 ​We celebrated Friendship Week with Ms. Doyle's Senior Infants. 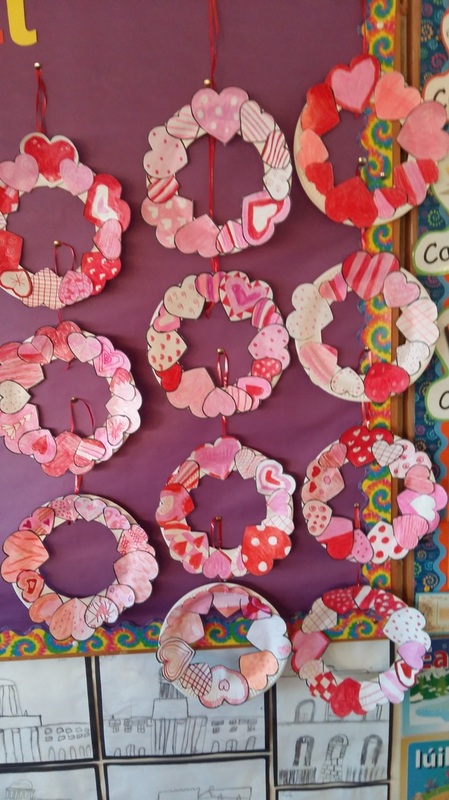 We played board games and made lovely Valentine's Day Art. 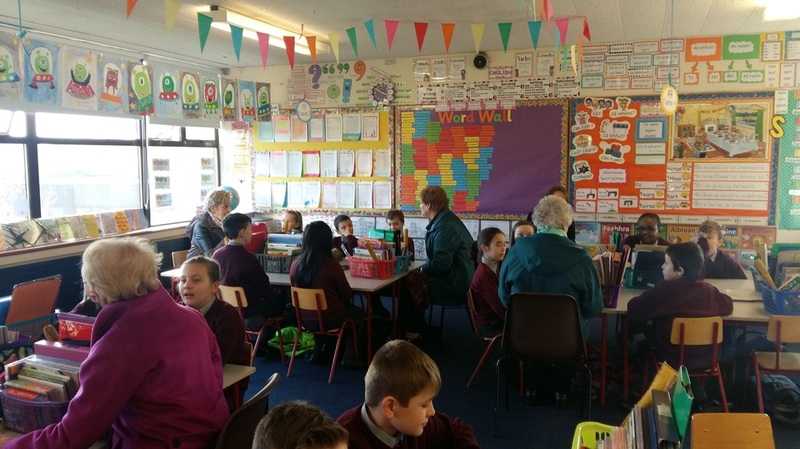 We invited our Grandparents to visit our class on Grandparents Day. 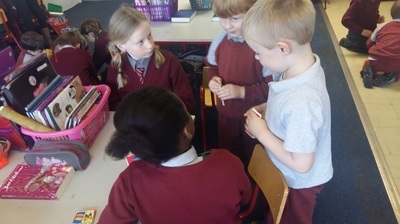 They told us stories about what school was like when they were young and how it was different to school today. We learned lots from them and we really enjoyed their visit. 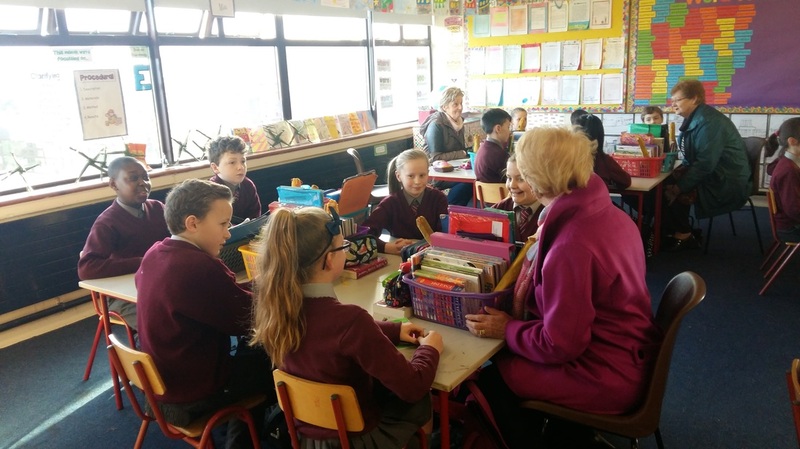 We were very lucky to have Mrs. Daly come back to visit us and bring us out to the garden. 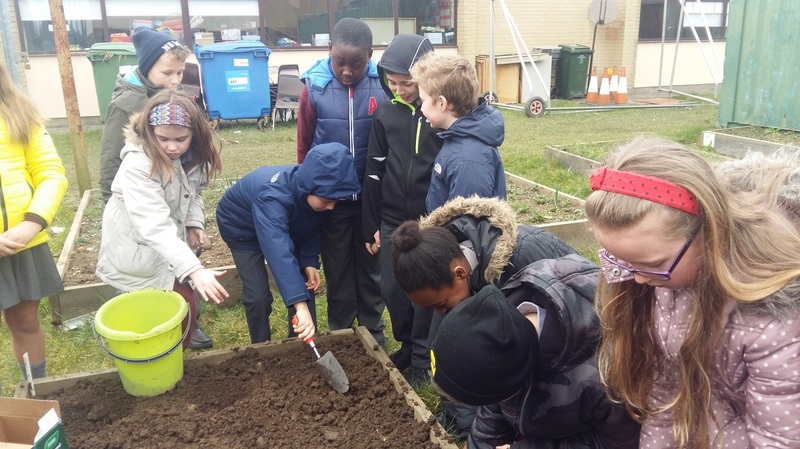 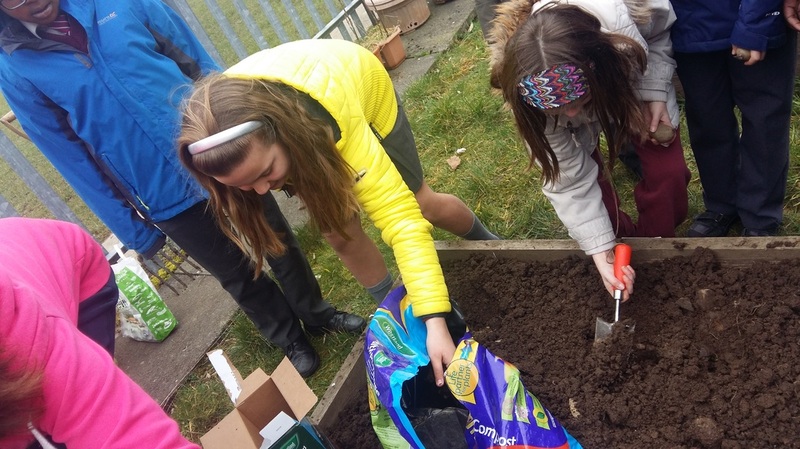 We planted potatoes in our class plot and we also did a bit of weeding. 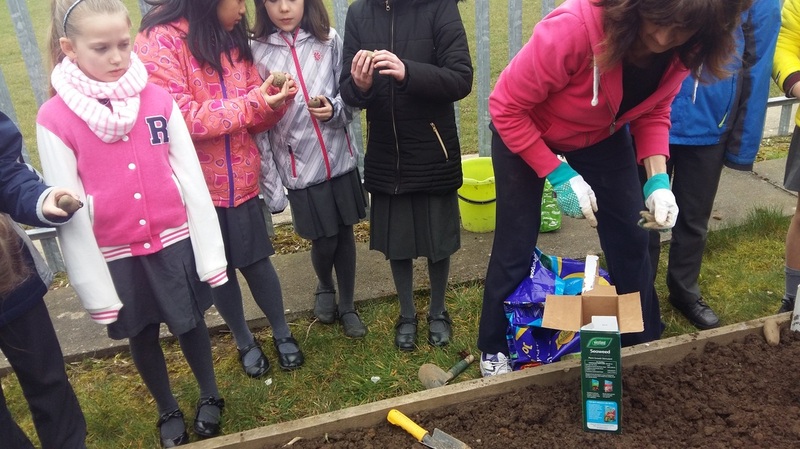 We are excited to watch them grow and hope to have a 'Potato Party' in June! 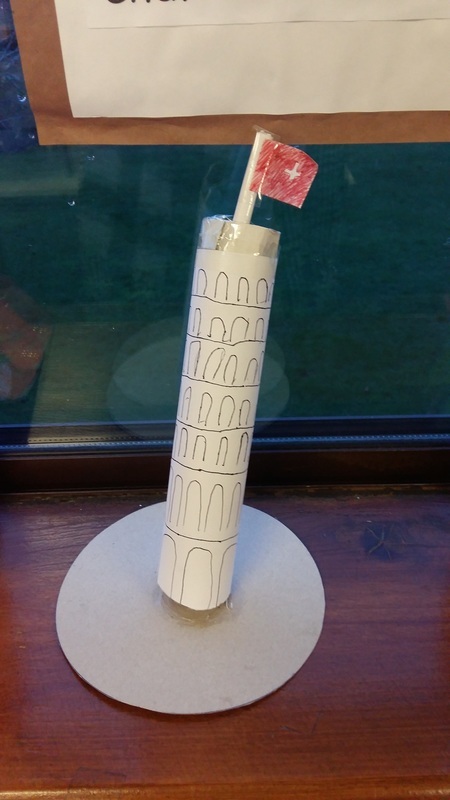 In Geography we learned all about Italy. 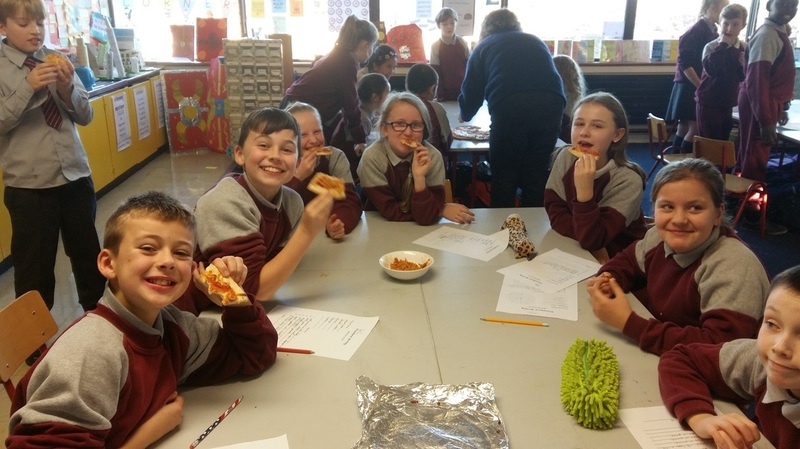 We even had our very own pizza party. 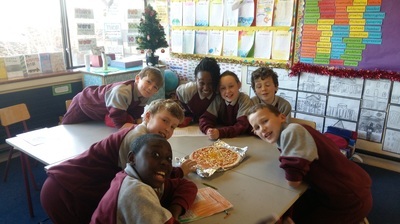 We made our own delicious pizzas from scratch and enjoyed eating them! 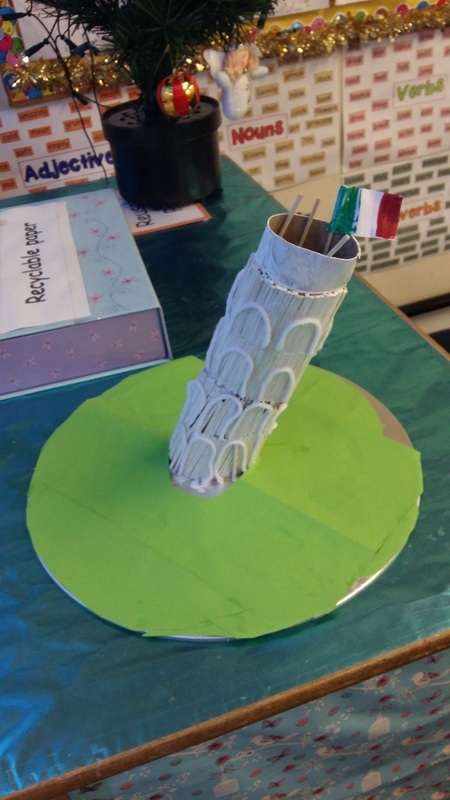 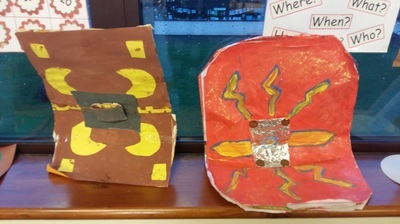 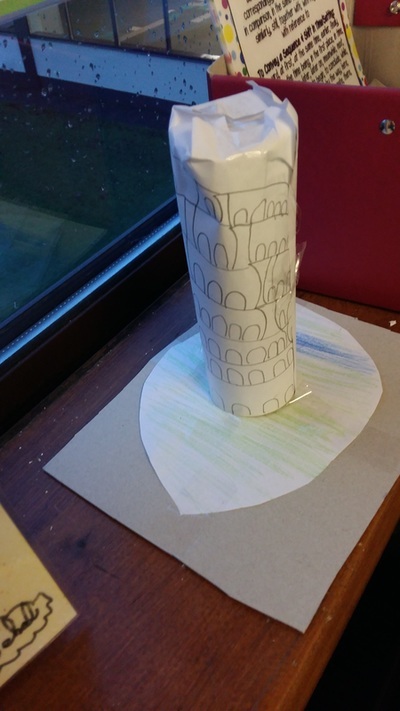 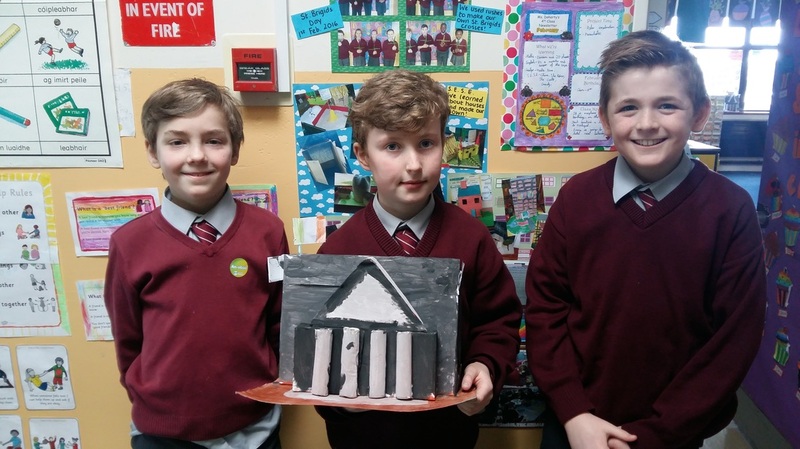 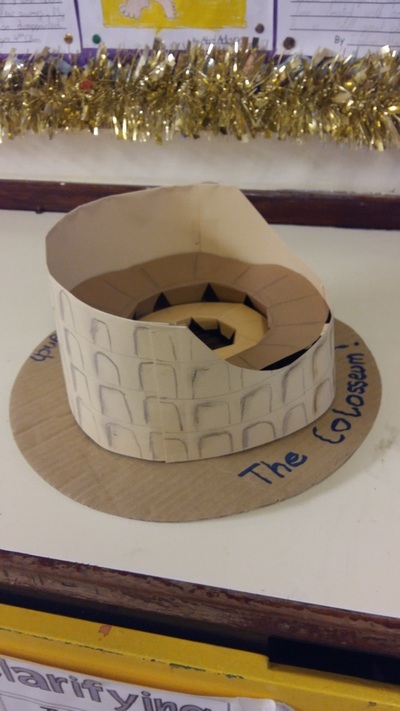 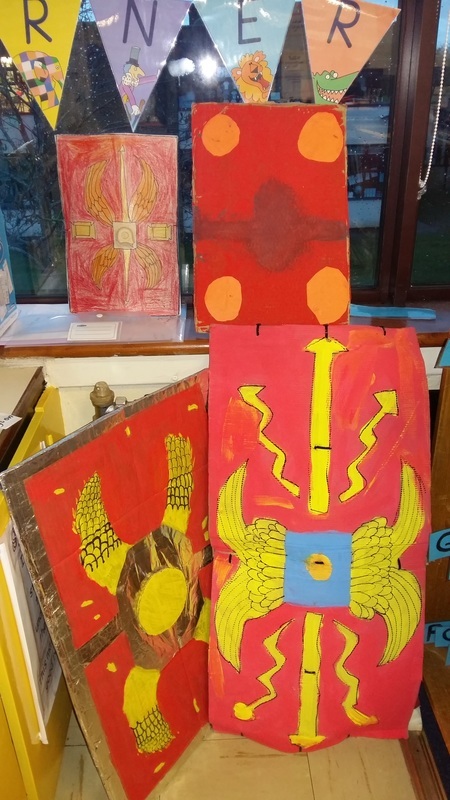 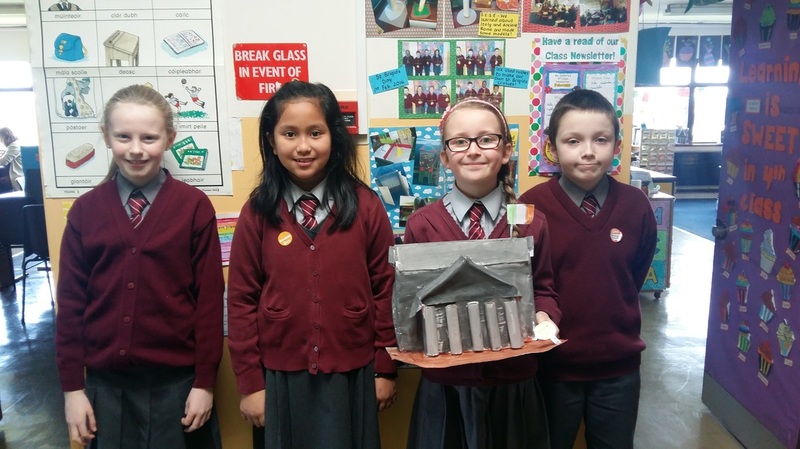 As part of our S.E.S.E topics, we made models of different types of houses, Roman shields, The Colosseum and The Leaning Tower of Pisa. 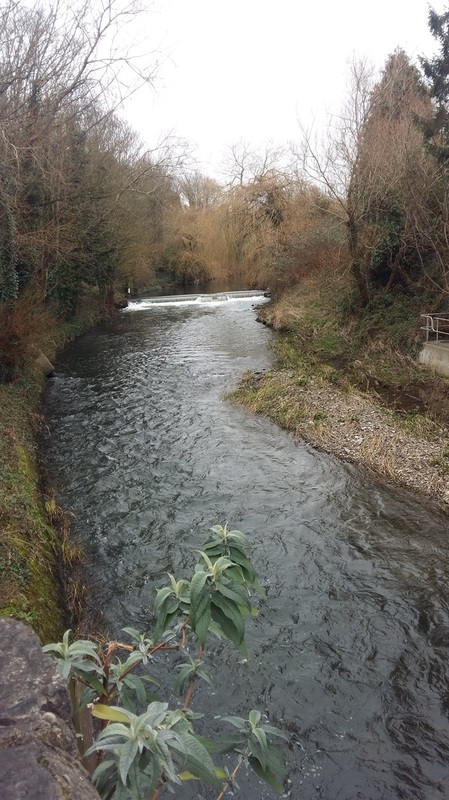 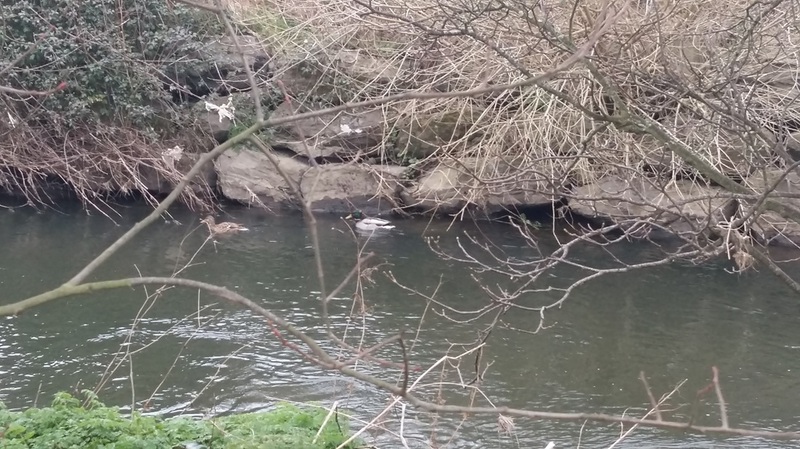 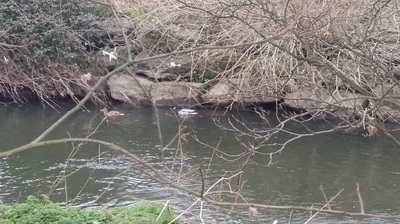 We went for a walk along the River Liffey and saw where it meets the River Rye. 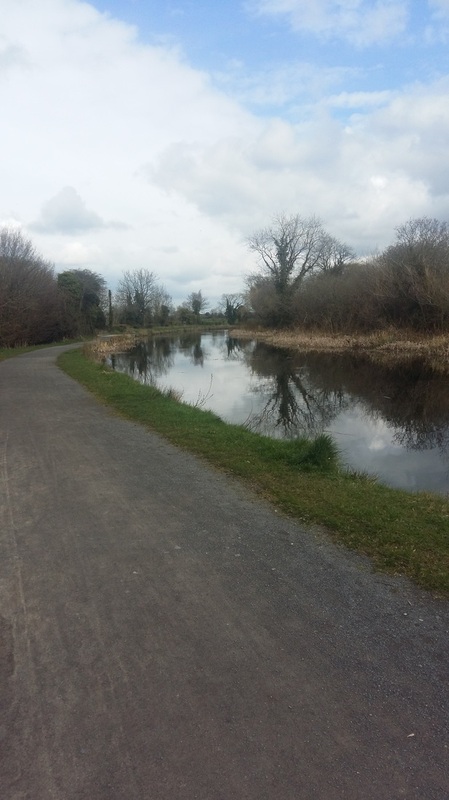 We went on a Canal Walk as part of a programme by Bord Na Móna called 'Ecorangers'. 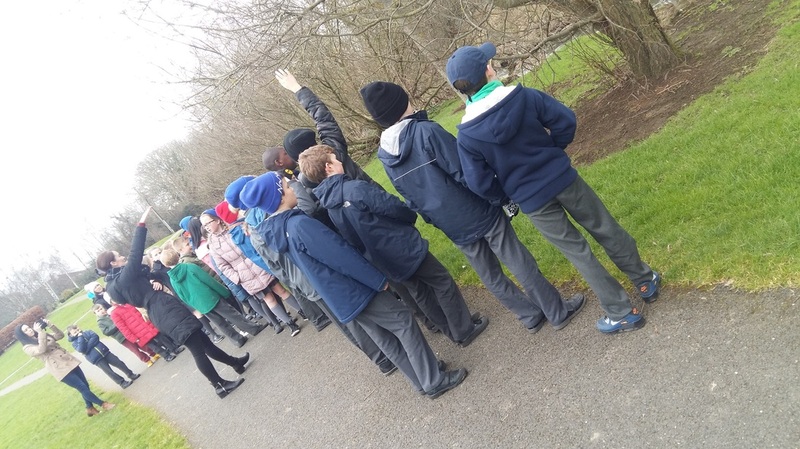 We compared what we saw along the canal to what was a long the river. We drew pictures, wrote about what we saw, and compiled a scrapbook for Bord Na Móna. 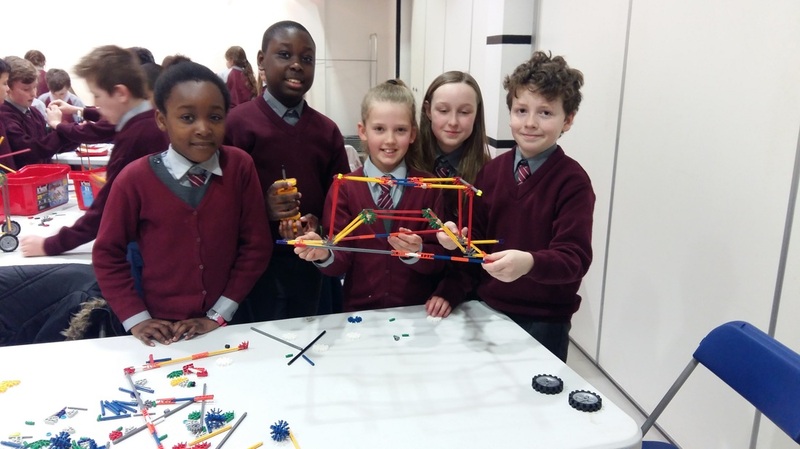 4 children from our school were invited to the Science Gallery to take part in a photoshoot for 'Ecorangers'. 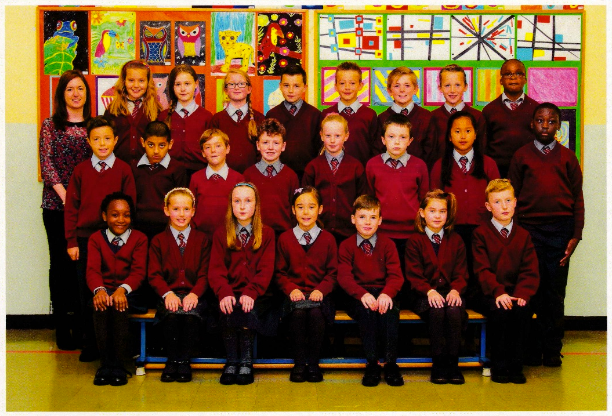 Check back for photos....they will be uploaded here when we get them! 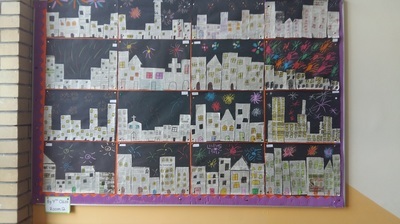 Here is a sample of some of the Art we have done so far this year.